In many installations, it may not be clear whether cooling is required, and it may not be easy to obtain the temperature of the environment experienced by the IRt/c. 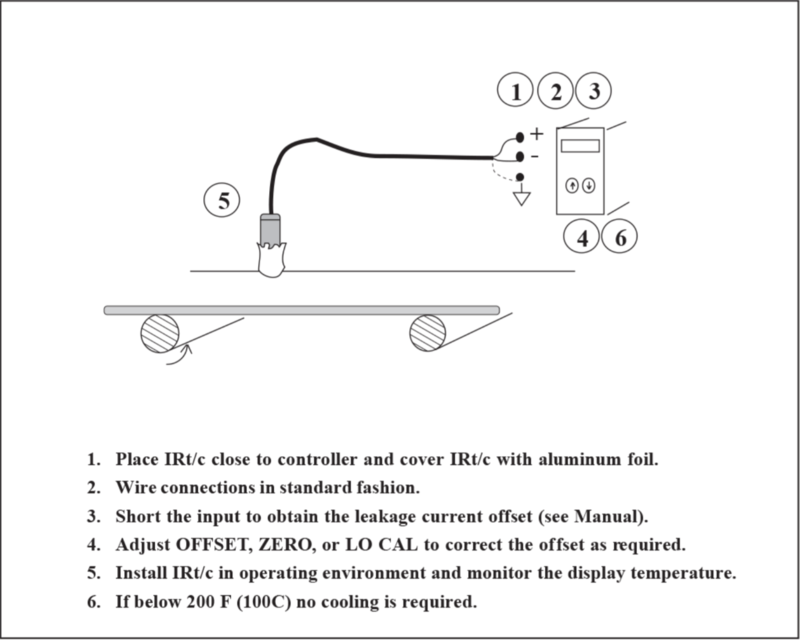 The IRt/c itself will tell you what its own temperature is, by using the procedure illustrated below. The basic method is to temporarily “blind” the IRt/c using aluminum foil, so that it can only see itself. The temperature that it produces is then its own temperature only. Before running this test, be sure to check for leakage current offsets as described in the manual.